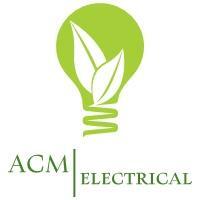 ACM Electrical - Air Conditioning, Electrician based in Thorpe-on-the-Hill, Lincolnshire. We operate in Lincoln and the surrounding areas. Our aim is to provide the highest quality of services to both homeowners & business customers. We offer many different services, from installs, maintenance to testing and certification. ACM electrical are always happy to help, with friendly advice. We believe that the key to a successful business is to listen to our customers needs and do everything we can to help them in any way possible. We are pleased to share we have many regular customers who return to us time and time again because they know that we will go the extra mile for them. We are committed to pride and quality in our work. Please see our excellent reviews. Contact us today to discover how we can help your needs.